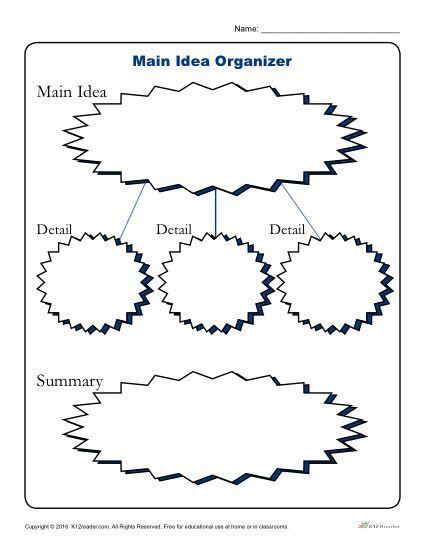 Teach your students how to organize their writing with this helpful Main Idea Organizer. Students will be asked to complete the worksheet by writing their own main idea, three details, and a summary. This will help your students better understand how to organize their ideas for writing in the future, especially when writing an essay! Ideal for 5th-8th Grade, but can be used where appropriate. RI.5.2, RI.6.2, RI.7.2, RI.8.2, W.5.1, W.6.1, W.7.1, W.8.1.